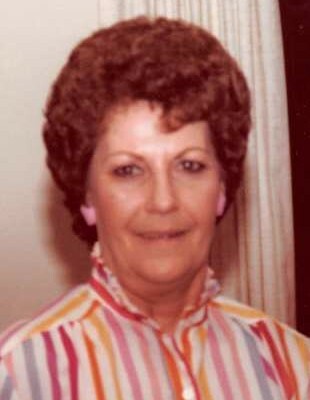 Nancy Miller Harbin, 87, of Toney, Alabama, passed away at home surrounded by her loving family on Friday, April 12, 2019. Mrs. Harbin was born and raised in Gurley, Alabama, and attended Madison County High School. She was married to Freddie Harbin for 32 years, and was a loving mother who was always dedicated to her children and grandchildren. She was a Christian and member of New Day Freewill Baptist Church. Mrs. Harbin was preceded in death by her parents, Floyd and Sarah Miller; the father of her children, Freddie Harbin; her son, Dwight Harbin; daughter, Freddie Maddox; sisters, Catherine Shores, Otha Mae Hubbard, and Bennie Joyce “Butch” Brannon; brothers, Charlie Miller, Barry Miller, and Fred Miller; granddaughters, Christina Handley and Paula Rigsby. She is survived by her daughters and sons in law, Babs and Jay Handley, Pam and Paul Rigsby, and Bridget Peach; her son and daughter-in-law, Terry Harbin and his wife, Peggy, who was Mrs. Harbin's devoted caregiver. Mrs. Harbin is also survived by her sister, Dot Cobble, ten grandchildren, twenty-six great grandchildren, and six great-great grandchildren. The family will receive friends Sunday, April 14th, from 6-8 pm at Hazel Green Funeral Home. Funeral services will be held at 1 pm Monday, April 15th, at Hazel Green Funeral Home Chapel with Pastor Dana Booth officiating. Burial will follow in Gurley City Cemetery.